Improving your productivity and time management doesn’t have to be big task. In fact, for some people, trying to make big changes in their schedule can be extraordinarily overwhelming. 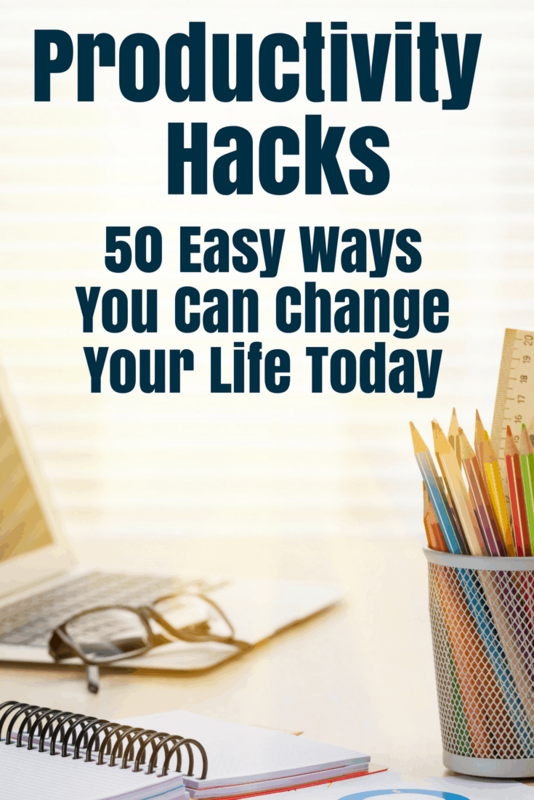 But there are productivity hacks you can start immediately to help you change your behavior. When people try to go too big on productivity hacks, they tend to have these two problems. First, they overestimate what they are able to do. That means, they inevitably try to do too much and become overwhelmed trying to implement too much at once. Second, they underestimate how much time it really takes to complete a task. This means they don’t tend to account for problems and delays. And life is good at throwing those curve balls. Thus, between those two problems, it usually means that they give up on their attempts shortly after trying to implement them. So instead of going big, why not go small? There are dozens of ways you can improve your productivity and time management that take less than 30 minutes. In fact, majority of these you can do in less than 10 minutes! 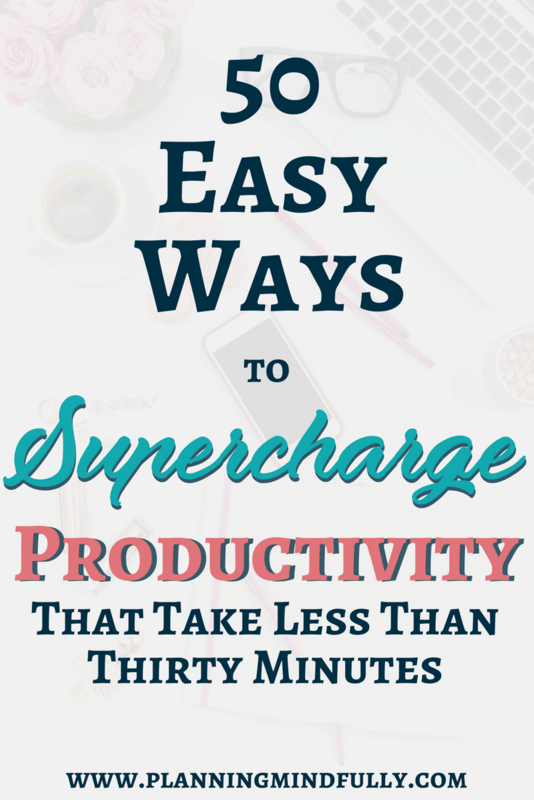 Added benefit- many of these productivity hacks you can do right this moment! 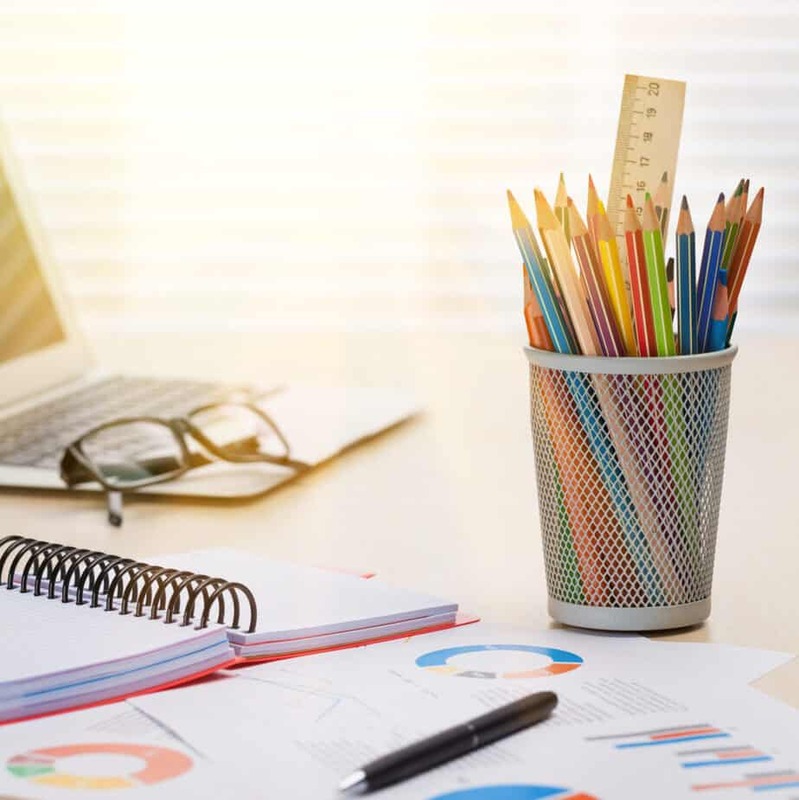 Some of them you can do repeatedly, others you may only need to do once, but all of these practically take zero effort and go a long way into helping improve your productivity. Learn how you can use these small, easy productivity hacks to start improving your time management today. A messy, non-work friendly environment can make it much more challenging to work productively and efficiently. Thus, there are lots of small productivity hacks you can do very quickly to help you out immediately. I absolutely love to use essential oils while I work. There are certain oils that actually have certain properties that help boost productivity, awareness, and creativity. Whether you put them in a diffuser or dilute them with coconut oil, I’ve found they’ve quickly become a favorite way to help during the work day. Jasmine: Has anti-depressant and nerve calming properties, but also uplifts and helps with confidence, optimism, and energy. Lemon: Promotes concentration and feelings of calm. Can also reduce anger, anxiety, and help you feel less tired. Lavender: Calming properties, reduces emotional stress. Helps reduce nervous tension, headaches, and migraines. Peppermint: Great for brainstorming and a quick energy boost. Promotes concentration and helps stimulate clear thoughts. Awake and Aware: A captivating blend of essential oils that helps promote energy and focus; a favorite in my household! When you get up, is there anything you can do while moving to another location? Can you throw your trash away on the way to the bathroom? Bring your empty coffee cup upstairs as you’re going to make lunch? See if there is anything you can tackle while you’re moving from one place to another, and get it done. How does making your bed serve as a quick productivity hack? Research is beginning to indicate that people who make their bed end up being more productive than those who don’t. I’m not finding any studies indicating proof on this concept. 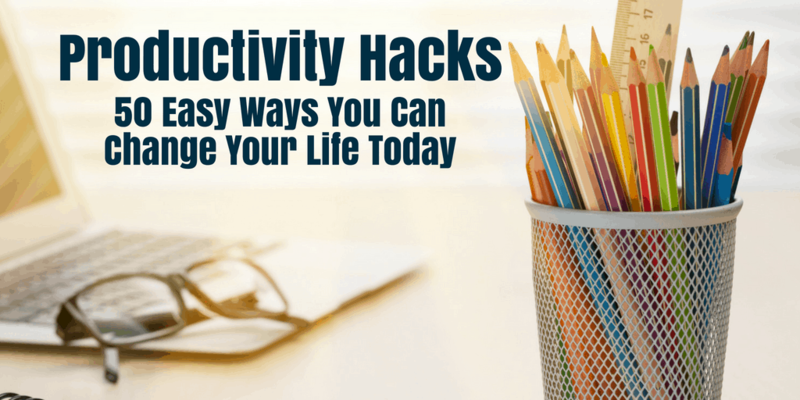 But there are tons of articles that swear adding this quick productivity hack to their routine has positive benefits. This post at Power of Positivity explains some really good points about why making your bed is so helpful! Did you know that many people in our world are Obligers? That means that to be successful, they need external accountability to help reach their goals. One easy way to do this? Tell the world what you’re going to do on social media, at work, at church- it doesn’t matter where! But it’s an easy productivity hack to build accountability with other people. You certainly don’t want to disappoint the world, do you? 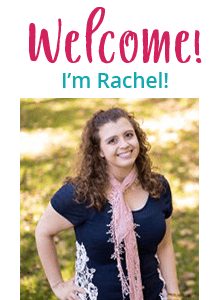 If you’d like to know if you are an Obliger, or one of the other three tendencies when it comes to meeting expectations, take Gretchen Rubin’s free quiz here! You should also check out her amazing book that highlights all the tendencies!, You can buy the ‘Four Tendencies’ book on Amazon! This is probably one of the fastest and easiest productivity hacks you can do right away. Maybe it won’t improve productivity this second, but it will make a difference tomorrow! Move it away from your bed. At least ten feet away, or another room if possible. This will prevent you from hitting the snooze button. It’s hard to feel motivated and productive in your pajamas, while your hair is a frizzy mess and your skin feels gross and oily. Do yourself a favor- take a shower and put on clothes that make you feel motivated to do work. It can really help you feel more productive. If you work at home, it’s really tempting to partake in all the distractions your home has to offer. Get out of the house and go to a coffee shop or the library! Sometimes just a change of scenery can do wonders for your productivity. Classical music is great because for the most part, it’s not loud, it’s not distracting, and there are no words to sing along to. Need an easy way to listen to classical music anywhere? Try four months of Amazon music for only $0.99! Offer good through July 17th, 2018, Amazon Prime Members only. If you rely on watching television while getting chores done, have you ever stopped to watch something interesting while in the middle of cleaning up your kitchen? Then all of a sudden it’s two hours later, and you still have a messy kitchen. By unplugging your TV, it helps you from mindlessly turning it on while working. Benefit is, once you’re done, you can plug it back in again! Truly nothing better than a little fresh air, sunshine, and birds singing. 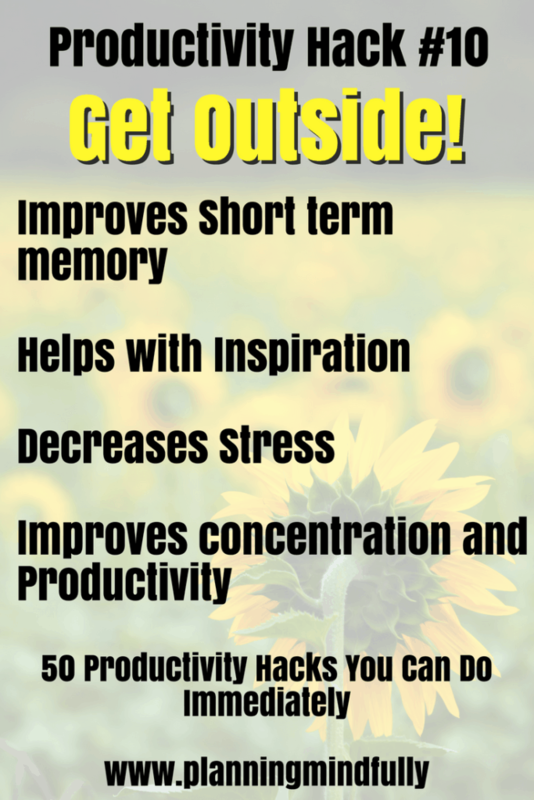 Getting outdoors can help reduce stress, spark inspiration, and improve optimism! Having somebody remind, encourage you when you don’t feel like working can help you reconnect with your purpose and maybe find some ideas that inspire you to take action. Smartphones are amazing technology that can serve us tremendous benefit! Yet for many of us who struggle with time management, they can also take up large amounts of time in our day. 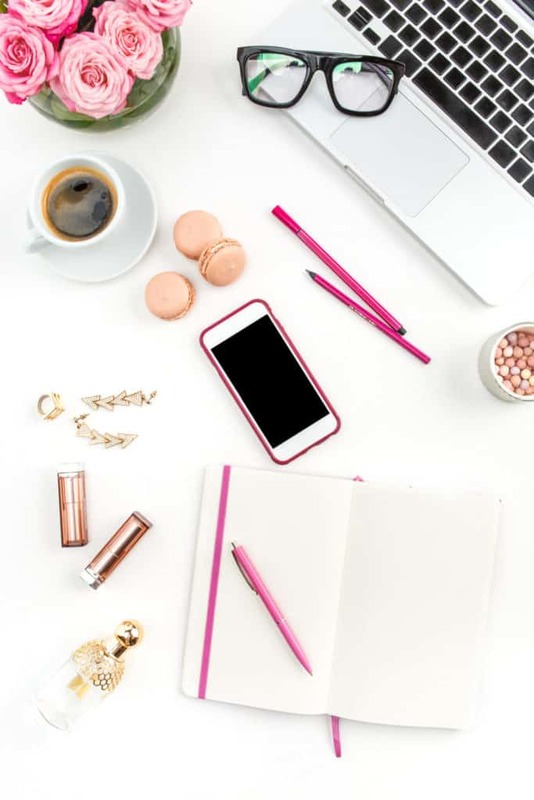 Here are a few ideas to help you get off your phone and into your work! 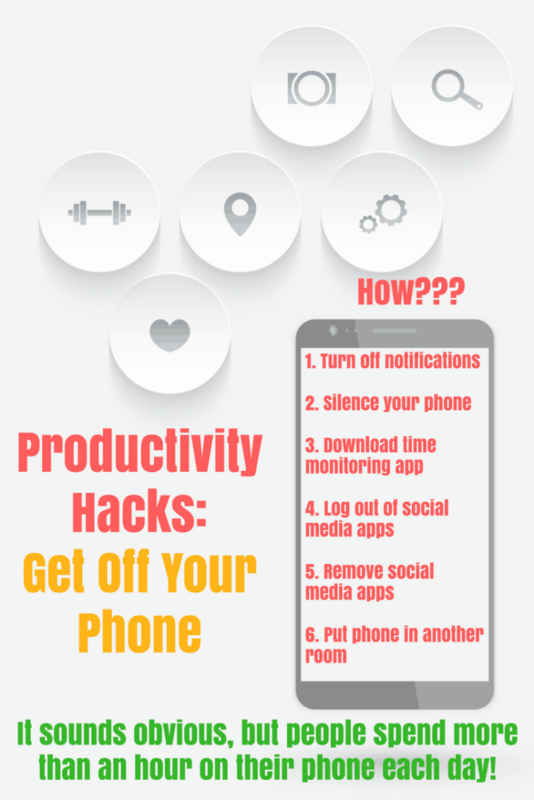 Even though some of these productivity hacks seem obvious, you’d be amazed how few people actually work toward getting off their phone. Social media has its benefits, but if you’re spending 3-5 hours a day using it for mindless scrolling, is it really worth that much time lost? Delete the apps, and make a decision that you’ll only check it on the computer instead. It’s possible that taking the apps off your phone isn’t the best idea for you. If that isn’t a choice, make sure to log out every single time you’re done using an app. It’s much less convenient to check it if you have to log in every time you pull up the app. Have you ever noticed the phone isn’t so tempting when it’s not there? If it’s mere presence is too tempting to pick it up, get it out of sight. How much time do you really spend on your phone each day? The average person spends 23 days per year on their phone- do you ever think that kills your productivity? Try a time monitoring app that will tell you how much time you really spend on your phone, and what exactly you’re doing on it. Somehow, the embarrassment of realizing you spend that much time on your phone can easily help you focus on something else. OffTime is a great app that helps you accomplish this task. Not to mention, OffTime can also restrict applications or help prevent you from using certain apps frequently. Does that constant ding cause you to dig your phone out of your bag every single time? It certainly is a challenge for me. I find that silencing my phone can be a helpful way to stop the noise so I can focus on the tasks in front of me. Technology offers many distractions, yes. But technology also provides many opportunities for productivity hacks that we can take advantage of right now! How many unnecessary emails are cluttering your email inbox right this moment? Even if you delete these emails, you’ll just get more tomorrow or next week. If it’s not of value, unsubscribe instead of just deleting. Can you beat the clock? Give yourself a task and a time limit, and see if you can beat it! Sometimes a little self competition can help get you into action. Having tons of emails in your list, even if you aren’t going to read them, can make you dread the visit to your inbox. Get rid of your dread by deleting old emails as you go. Make it a personal goal to delete five old emails every time you check your email. The incessant beep/ding/buzz of a notification is a huge distraction for many. It’s hard to ignore it, because many of us instantly treat it as ‘I have to go to my computer/check my email/pick up my phone!’ Yet 95% of the time, that notification isn’t emergent. So ignore it entirely. You have to check your email, but is it really necessary to check it first thing in the day? Spend your initial burst of energy and work on the tougher stuff first, and save email for later in the day when you have less energy to handle the challenging work. I’m terribly guilty of having at least 10 tabs up on my computer at any given time. Why does this kill your productivity? All it takes is a quick glance at my tabs for me to go ‘Oh, I forgot all about that thing!’ and switch gears. Every time you switch back and forth between tabs, you spend minimum 10 minutes re-orienting your mind to a new task. Adjusting your mindset may take a little more work than some of the other productivity hacks! However, there are still small things you can do right now to improve your productivity mindset. Have you ever agonized over a decision for hours, days, weeks, or even months? Only to find out that you could have handled either decision perfectly fine? We waste a lot of time fretting over the possibilities and forgetting how capable we are. Make a choice and stick to it. Why are we so black and white when it comes to completing tasks? Wasting time complaining and fretting over the things you can’t get done really doesn’t do you any benefit- not to mention, it eats up the time you’d have to do something, even if it’s small. So ask yourself: What can you do right now? As soon as an idea comes up, do it, no matter how small or insignificant it seems. Celebrating your accomplishments is something we don’t do enough, and sometimes it can serve as powerful motivation to keep moving forward on other tasks we need to do. Listening to motivational people is a great way to add some quick productivity. Often these individuals have podcast episodes that describe their own challenges and how they overcome them. See, it’s not just you! Lack of purpose can make it so much harder to work on your tasks. Just the act of writing out your long term goals, no matter how big or small, can be a huge motivator and direction for you to get the energy to work on your tasks. Without a ‘why’, it can be much harder to understand the purpose behind what you’re doing. If you believe you aren’t great at productivity, you reap what you sow. Change your mindset by doing productivity affirmations! Personally, affirmations are one of my favorite productivity hacks. They are so easy and you can do them anywhere! I enjoy completing my tasks on time. If we want to work at our best, we have to keep our body healthy as well. Whether it’s keeping it in motion or nurturing it with rest and relaxation, if we forget this critical need your productivity will plummet. Take advantage of these productivity hacks while taking care of your body as well! If you have to listen into a meeting or an audio class, it can be really hard to focus without anything to do. Give your hands a mindless task while you listen; this can help you stay awake and focused enough to listen attentively. prevent that distracting tension in your neck by getting up to stretch your body a few times in the day. 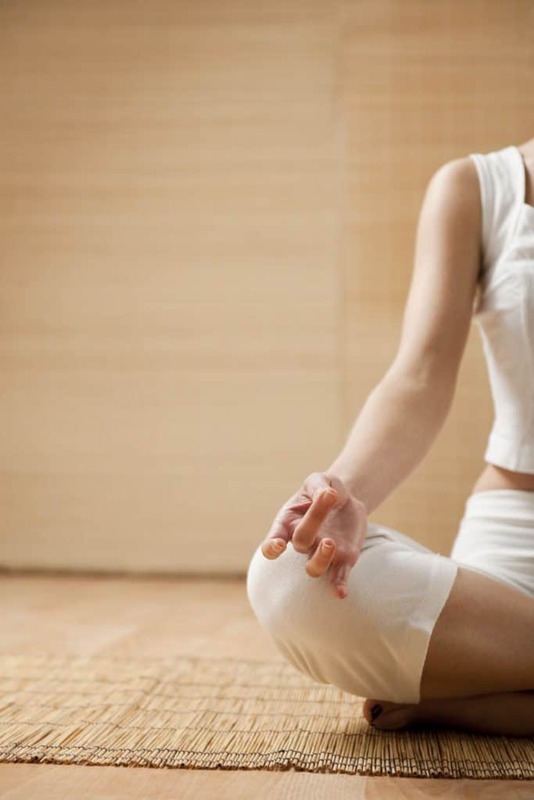 Studies show that taking even a few minutes to meditate regularly can help with concentration. If you’re feeling drained, get up and move around. Inside, outside, it doesn’t matter! Just move your body and enjoy a break away from your desk. How hard is it to work when you’re tired? In my opinion, it’s very difficult. Yet many of us try to slog through the fatigue in hopes that we’ll get more done. Unfortunately, that mindset just doesn’t work. Take a twenty minute nap, and often this is enough to give you a little more energy to get you through the rest of your day. If you’re worried about sleeping through your alarm, try a power nap video on youtube! They contain binaural beats that help guide you to a rest, then help you wake back up again when it’s time to start being productive. The best productivity hacks may not be things that help you right this second. They may not be very large tasks, either. Yet by doing these small things in your day, you will improve your productivity and time management down the road. Does the task take 2 minutes or less to do? If you think about it, then just do it! Ok, how does this save time? Well, if you have to buy a lunch, you have time to waste getting it, paying for it, and even deciding what you’re going to eat. By taking care of this decision at home, it’s one less thing to worry about. Even if you work at home, this can save you time by not having to decide what to eat and then preparing it from scratch. Got any post it notes? Great! Write your reminders on them, and then stick them around the house! Are you terrible at remembering to any of these tasks, even though you mean to regularly? It’s ok, sometimes if we’re not actively thinking about it, it’s easy to slip your mind. This clever hack helps prevent that by writing down your reminders in visible places. All you need to do is grab a post it note and write a reminder, then put it in a visible place. For instance, write ‘pick up trash’ and place it by the door at eye level as you’re leaving the office. You’ll get a quick reminder while you’re right there, and you don’t have to make a second trip to clean up later. If you really don’t like that task, can somebody else do it instead? Or can you get somebody to help? Pick up the phone, check Fiverr, and get creative. Prevent decision fatigue tomorrow by writing your list of things to do tomorrow, today. When you set your plan in motion today, you know exactly what to expect when you start working tomorrow. Many us either stop working entirely or try to push through challenging tasks when tired. This doesn’t work. What can you do when you’re feeling low on energy. Write a list, and do those things when you feel fried. While multitasking can be a distraction and time waster, it’s definitely important to work smarter instead of harder. Put like tasks together; spend one afternoon working on writing, spend a morning working on creating social media images. You don’t have to do multiple at once, but dedicate your tasks to activities that don’t require a lot of extra effort to transition. What are three things you can do to knock out 80% of your work? Do those- and nothing else until they are done. Selecting only three items helps prevent decision fatigue, too! What happens during your day that wastes your time? Have you ever considered actively NOT doing those things? 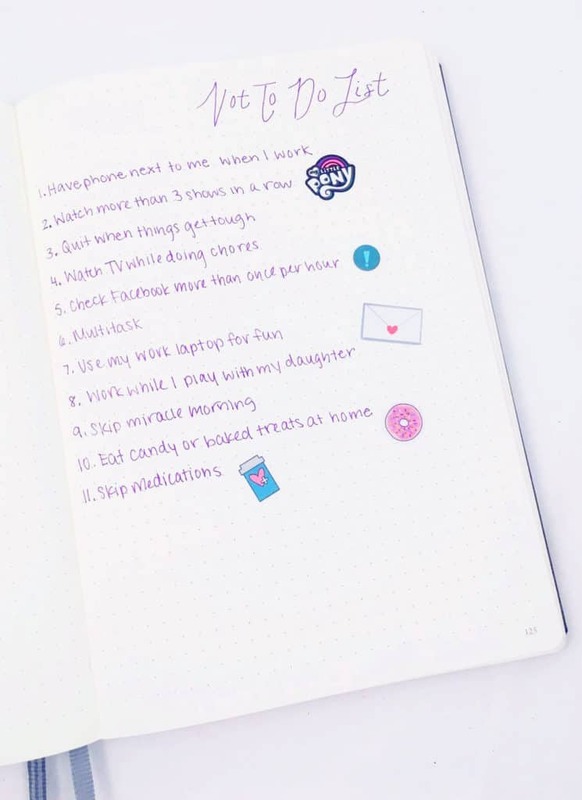 You can start by making a not-to-do list. Add to this list activities you will not engage your time and energy in, such as watching Netflix at work or playing Candy Crush. 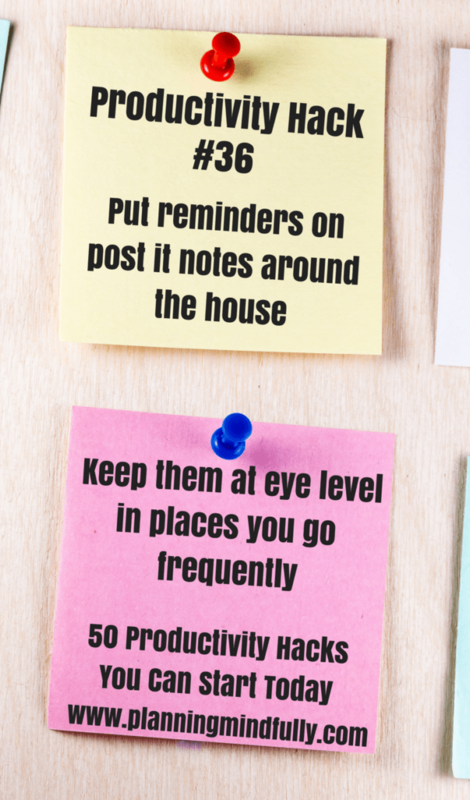 These productivity hacks are great ideas to start doing regularly. Establishing these ideas into regular habits don’t take a lot of time physically, but they will benefit you greatly in the long run. Reading is proven to help you be more productive. You can even help build your productivity by reading books on how to improve productivity and build better habits! Add these amazing books to your personal library today. if you need to focus on something, tell somebody no. You are almost always #1 priority, so take care of your work first before you help someone else. If you tell me you can write well while listening to a podcast, I’m probably not going to believe you. Think about it- how many times to you get distracted by an interesting topic on the podcast and stop writing? Or, how many times do you start writing so intently you didn’t even hear the podcast? Do one or the other, because I guarantee your focus isn’t present when you’re doing both. The critical question is: Does this task help me reach my goal? If it doesn’t, drop it like it’s hot. Dedicate only five minutes to a task you don’t want to do- It’s really hard to tackle that project you don’t want to do, isn’t it? Instead of thinking about doing everything, dedicate five minutes to doing something on it. Most of the time, you’ll want to keep going past the five minute mark. A messy desk doesn’t really make you feel very productive, does it? Not to mention, it takes three times as long just to find that post it note you wrote your to do list on. Yet, you can keep this small and simple! Throw away the trash and excess papers, put the pens in a pen holder, and clear some space so you can find what matters. Sometimes productivity hacks revolve around not doing so much. Putting lots of energy into tasks can be exhausting, and it doesn’t help when we try to work for hours at a time without doing anything else. Make sure for every 30 minutes of continual work that you do, spend five minutes to get up, walk around, and let your eyes focus on something else. There are so many interruptions that happen throughout the day- phone calls, texts, thoughts, uninterrupted visitors- the list is endless. And while you can’t prevent them from happening entirely, you can choose to respond differently to them. Instead of letting them take up time in your day, get the information you need and tell them you’ll respond back to them at a better time! Make sure to get a phone number or email address, if necessary. These sticky notes are a great way to write down reminders while keeping them sorted in specific categories! The entire point of this list isn’t to do all 50 things right this second! Instead, it’s to give you ideas and suggestions on ways you can increase your productivity that are easy to start and don’t take very long at all. Improving productivity doesn’t have to be big or life changing, but small actions done repeatedly inevitably lead to better results. So what are you going to do right now to start adding small productivity hacks in your day? Tell me in the comments! Did these productivity hacks help you out? If so, share with others on Pinterest!